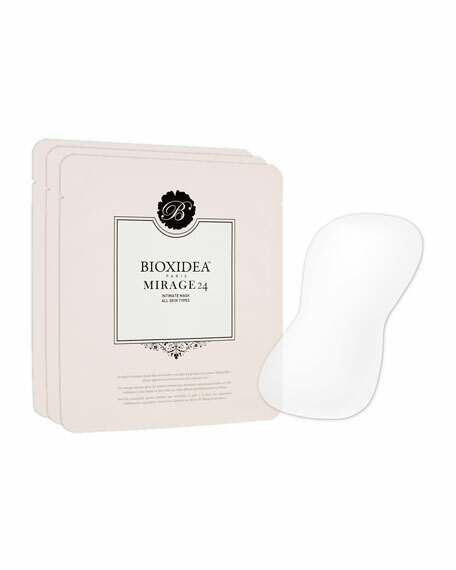 Featuring BIOXIDEA Mirage24 Collection's signature blend of antioxidant-rich botanical actives, this intimate treatment mask is designed to deliver an instant boost to skin where needed most. From first use, skin appears smooth, tightened and rejuvenated. Results are visible within 15-30 minutes and start to peak after 5 hours. Results can last for up to 24 hours. Continued usage leaves skin with more gradual improvement. Sensitive/normal skin.